Is Your Understanding of the World Distorted by the Maps We Use? 1. Physical Distortion. Since the earth is a sphere, every flat map we look at distorts the physical geography of the planet. The most common flat map is the Mercator projection. 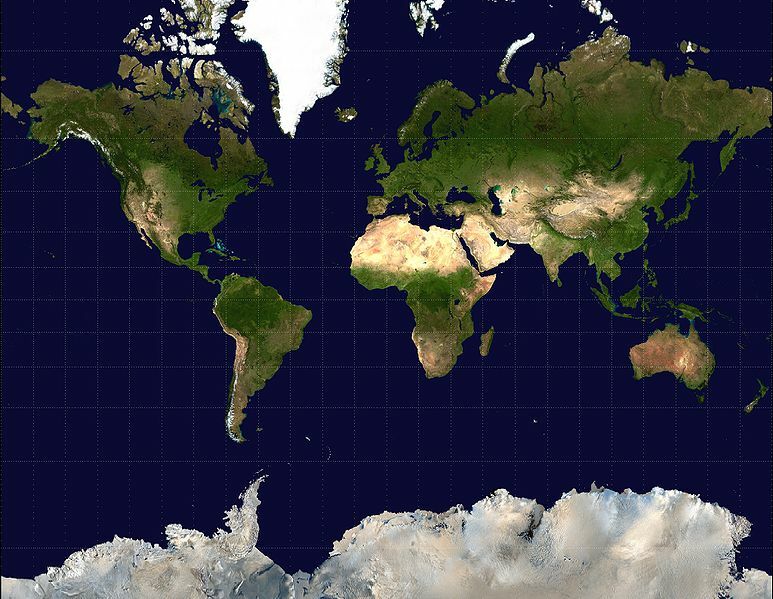 In order to depict the spherical surface of the earth on a flat map, the Mercator projection distorts our perspective in two ways. First, the northern and southern latitudes are stretched way out of proportion. Consider: Greenland is not really the same size as Africa, and Antarctica is not as big as all the rest of the world! The second distortion is more subtle: the image of the earth is centered on Western Europe. It could just as easily be centered on the Pacific Ocean, or the Middle East, or North America. This orientation may subliminally reinforce Europe-centered thinking. 2. Political Distortion. A country and a nation are not the same thing. While most countries have nations, and most nations have countries, there are exceptions that are the source of much conflict in world affairs. Consider Central Asia and Middle East. When we look at a map and see the country Afghanistan, we are looking a region bounded by lines drawn about 100 years ago. Those boundaries don’t really correspond to the ground truth. There are many ethnic/tribal groups in Central Asia. 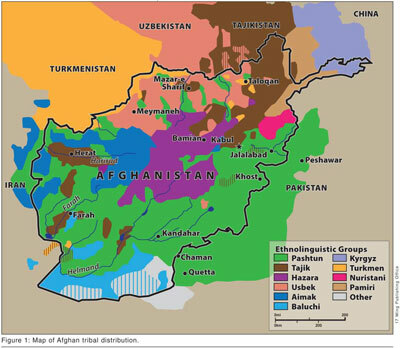 Some of those groups’ territories cross several country borders, such as the Pashtuns, Uzbeks, and Tajiks. Although there is a semi-functional central Afghan government, it would not be much of a distortion to say that the nation of Afghanistan is not nearly so recognizable as the country of the same name. This entry was posted in Geography & Geopolitics and tagged Afghan, Afghanistan, country, Distortion, ethnic, Kurd, Kurdistan, map, Mercator, Mercator projection, nation, Political Distortion, surface of the earth, tribal, Western Europe. Bookmark the permalink. ← Will You Vote for a Beekeeper?